Hello today I will tell about top 10 best first person shooter computer games . But before that let me tell you what is First Person Shooting/shooter? FPS which is abbreviation for First Person Shooting is a very common term for a gamer. The games which only allows you to have a look on vision but not on whole body, In FPS Games the screen or the display we see is the vision which your player is seeing. FPS helps to get an accurate idea about the position of player, aiming and many other things. In First Person Shooting you can’t see your player but you can see other players around you. There are three types of shooting games – First Person Shooting, Second Person Shooting and Third Person shooting. In this post you’ll read about top 10 best first person shooter games for PC. 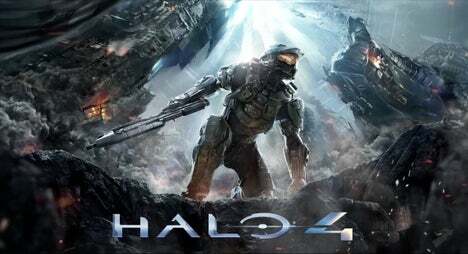 Halo 4 was released in 2012 and is marked as one of the best first person shooting game. Although Halo: Combat Evolved was a blast in the market but Halo 4 was much better than it, in terms of graphics. Halo is a third person as well as first person because you can adjust camera angles in it from a specific key. Story begins when Halo is on an isolated hurtling ship on space with no hope of being found, you need to fight the enemies hard and get him out also rescue other people. On other hand it’s time for another game, time for America’s Army in our list of Top 10 Best First Person Shooting Games for Windows Computer. America’s army game is a resemblance between America army and public relation. This game got a lot of people’s praises and support as it marked the resemblance. This game although have a few bugs but the realistic game play hides it all. It have a limited map set but with superb visuals and graphics. America’s Army also use a certain sets of weapons on specific locations, and also offers to learn real world first aid, which states the player to properly heal it’s team mates. Wolfenstein: Enemy Territory was originally released as steam only. This game was very easy to play but when you have to master it, it turns to be very difficult. In this game you can choose two positions either Axis or Allies from the title menu. Maximum 32 players can play at one time. Although this game lacks in coordination but makes up with Nazis. Counter Strike is a well known game series as it is a series from back late 90’s and the ultimate truth is that many people still play Counter Strike. Counter Strike GO (Global Offensive) is one of the latest game, it is just a team- coordination and shooting game, almost no strategy is required, you just need to blow your enemy up either with Ak-47 or a pistol is totally depends on you! Counter Strike GO is an upgraded version of old and classic Counter Strike 1.6 or Counter Strike Condition Zero. It have better graphics, better game play and better accuracy. In short I will say this is the best nonstrategic First Person Shooting game. And the last one in our list of Top 10 Best First Person Shooting Games for Laptops is Red Orchestra 2. Red Orchestra 2 Heroes of Stalingrad is a game stunned with blood all around. During a bloody battle between stalingrad players, you can play through two single player from campaign, one from Russia and other from Germany. This game haves all the things which happens during a real war, whether you say bullet penetration or breathing effect and also covering and squad actions. You can also play Red Orchestra 2 Heroes of Stalingrad with your friends as it is also available in multi-player rather than just campaign mod. Okay! Now if I say that this game doesn’t guns in it will you believe me? Yes, technically speaking there are no guns in it! But wait! How can you miss playing most singular strange game of all time? You can imagine this as an official upgrade to game House of the dead 2 . In this game, the most funny thing is that you need to type the words appearing above the zombie head to kill’em all. Seems Interesting? Very much for sure. #7 First Person Shooter Computer Game for Windows: Left 4 dead 2. 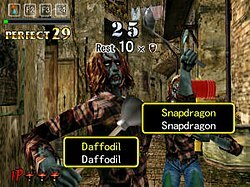 Left 4 dead 2 was released back in 2008 andmade a chaos in the market as everyone was very excited for the concept of zombie-cooperating shooting game. Left 4 dead 2 is not like other games which are out in market, almost every game is having zombies in them but this one is a particularly fleshed out sequel and this game make the battle undead and feel fresh of the day. All the crushing and storming is present in the game. At last, I just want to say that it is a high-speed, breathless action that is enough to gain your attention towards it. #8 Best First Person Shooting Game for Laptops : Far Cry 3. 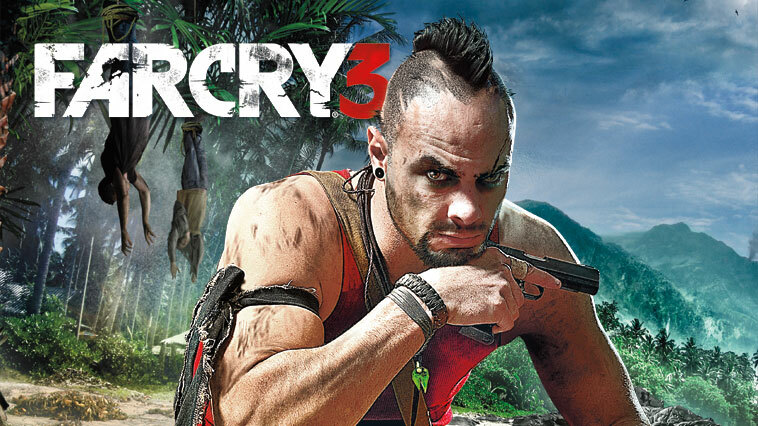 Far Cry 3 was developed by Ubisoft in back 2012 but it’s standalone version was up in 2013. Far Cry 3 is set to a tropical island where you and your friends have been kidnapped but only you are able to get out of the region now the mission starts here, you need to save all your friends and take them out of here. This game is very fascinating as it gives many features, although it is much more like animated but it’s an awesome game. You can drive a car, a buddy and even you can fly through a hand glider. It gives all real effects. Top #9 First Person Shooter Game for PC : Dead Space. All the design in this game looks like crap! Why am I saying this? What can you expect after seeing everything brownish and even that crapped metal corridors? Also the main hero is in a stupid outfit! Now what can you expect? You can expect thrill in this game, the radiation which will numb you. All the horror effects which you will be experiences after playing this game either you call it crap or horror but it will horrify you. All those sudden movements of things, all the spiders and dead bodies which automatically comes in front of your screen. You have to bear it all, either by hook or crook. Try this game , tell your experience in comments and let our audience know about it more. Crysis was developed in Germany and was published by Electronic Arts known as EA worldwide back in 2007. Crysis is a wrapped gift box, you don’t know what will happen next, it’s just a bunch of surprises. You’re dropped on North Korean territory in a government issued nano-suit, and charged with taking down the radical KCP faction. You are going good but immediately a bunch of crappy extraterrestrials come in. You will be having some extra-ordinary and astonished game play with the most detailed feature on its way. You can either be in your crappy nano suit or choose to fly. This entry was posted in softwares on Apr 25, 2014 by Haren Mukesh Kumar.